Rhinoplasty is the medical term for a “nose job”. The nose serves as the axis of the face and with today’s technology, imperfections can be treated without surgery. A bio-compatible injectable that is easy and safe to administer, permanent filler reconstruction rhinoplasty requires almost no recovery time and is immediate in effect and is stable. Local anaesthesia is used to administer the permanent filler. 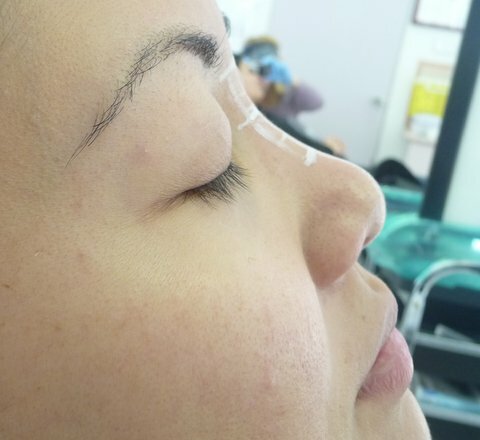 Reconstruction almost painlessly with a fine needle, resulting in corrections that are immediately visible to the patient and that will maintain their initial form. Patients who have a flat nasal bridge, and wish to create a bridge or augment their original bridge. This is a very common request in the Asian and African-American population.